There is a New Moon Solar Eclipse at 19 degrees Pisces this week! A powerful new beginning is about to happen…first on the spiritual plane and later on the physical plane of our reality. 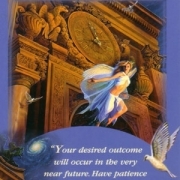 Visualize and send out your intentions to the Universe regarding what you desire to manifest in your lives. 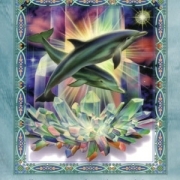 The message from the angels this week shows some wonderful opportunities mid-week, and healing throughout the week. Energies are being brought into balance within us so that we can fully move forward on our Path! Many Blessings of Love and Light to All! 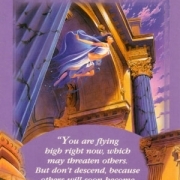 The cards used in this weekly angel card reading are from the Angel Tarot Deck by Doreen Virtue. 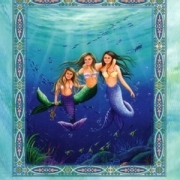 The special message is from The Magical Mermaids and Dolphins Deck by Doreen Virtue. Rev. Colleen is a Heavenly accurate Angelic Astrologer and Spiritual Consultant. 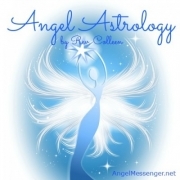 She was one of our original Tested and Trusted Angel Messenger Practitioners and is currently a contributing author here at Angel Messenger. With well over 15 years of experience, some say Colleen’s intuitive guidance is simply life changing. 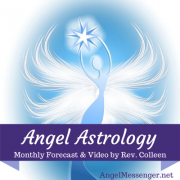 Readings with Colleen are a combination of Intuitive Astrology, Numerology and Tarot, along with Divine messages from her angels and guides, including the Archangels and Ascended Masters. "Colleen was, as always, fabulous. She shares such relevant information with grace and compassion. She genuinely cares and it is so obvious." -> Download Rev. Colleen's Free Soul Healing Meditation! Rev. Sheri is the creator of Angel Messenger. It is her mission to help others grow on their spiritual path and to remember who they truly are.